Start your day in the nice vaulted room where you will enjoy a typical french breakfast with the famous croissants and baguette. Fruits, ham, yogurt, cereals & muesli, selection of french cheese, eggs cooked minute. 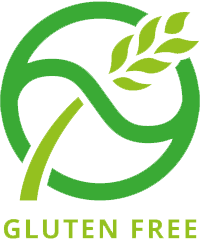 Some products are gluten free. Our team is at your disposal to reserve your restaurants, entertainments tickets, sports events or any other events. If you wish to have a bouquet in your room upon your arrival, send your wish to our team: budget, size, type of flowers and colors. VIP service. A bottle or ½ bottle of champagne (Malard brand) can be put in your room before arrival or during your stay. Desire to relax? Muscular tension? Our physiotherapists' team will take care of you. A therapeutic massage solo or in duet, nothing better to recover. If you wish to order a taxi in advance, we shall take care of the reservation with one of our partners of transport. To complete your business trip without stress and relax between two planes, or enjoy a time out of time. Take advantage of our rates for day reservations. Free cancellation and reservation without credit card.